Whenever you peel an orange, potato or even garlic, you’re removing skins and rinds that can be used for other purposes. Believe it or not, every part of these foods can be used for something. You can simply eat them, grind them up, use them in recipes or use them for other purposes around the house. So don’t simply throw them in the trash. Check out these 12 innovative ways to reuse those peels and rinds. Visit our coupon pages for Vons, Safeway, Whole Foods, and Trader Joe's so you stock up on some fruits and vegetables for your next peel and rind DIY. Eat them. The rinds and peels contain the most nutrients, so if you can stomach them, it won’t hurt you to eat them. In fact, they’ll keep you healthy. Garlic skins in particular contain antioxidants that have anti-aging properties and can protect your heart. So eat up! Use them in spices and dressings. You can grind up rinds and peels and use them to add flavor in DIY spices. They work great in salad dressings as well. Some people use them to create their own flavored sugar. This works well for dressing up cookies and other sweets. Make candy. Who knew those icky rinds could be turned into something so sweet? With orange peels, you just boil them in sugar for an hour. You can then add sugar or chocolate to make this a real treat. 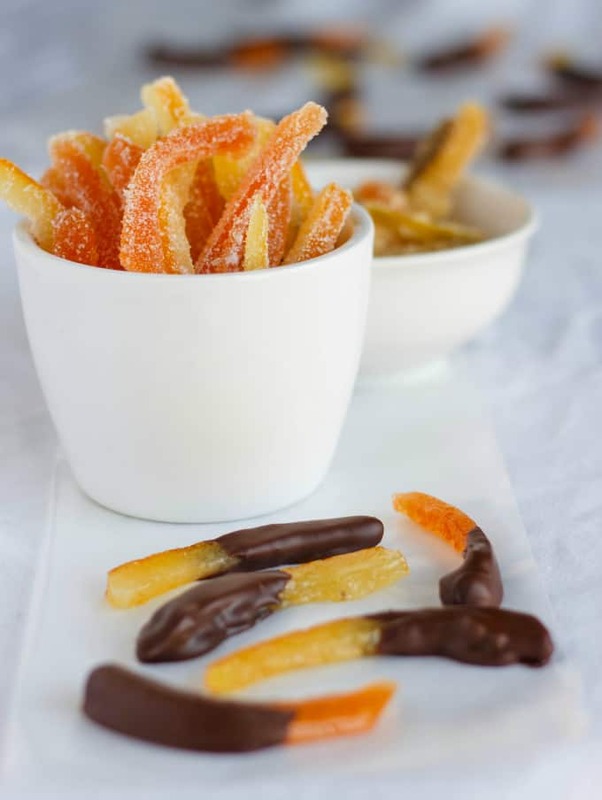 You can also make homemade candied citrus peels. This sweet and sour candy tastes like Sour Patch Kids candy, but with high amounts of vitamin C, it’s actually good for you. Get the recipe here. Add to beans or chicken stock. Don’t throw away the garlic skins. Save them in your freezer and add them to chicken stock or slow-cooked beans for more flavor. Make potato crisps. You can use potato peels to make crisps. They’re kind of like French fries, but with just the skins. Just fry them up and pop them in the oven for some crispy goodness. 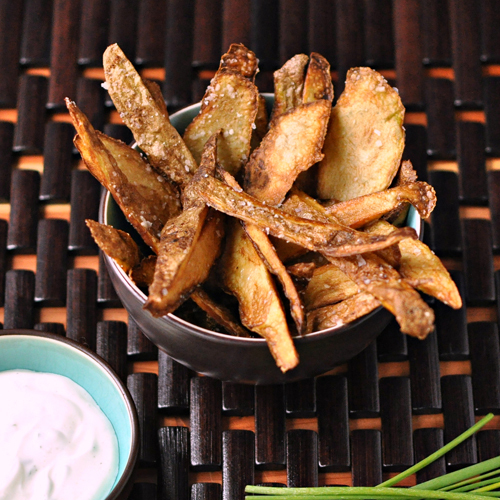 View the full recipe – which includes a chive-sour cream dip – here. Create your own air freshener. Leave the cans of Glade air freshener at the store. Make your own deodorizer by taking orange peels and leaving them at the bottom of garbage cans or under sinks to keep the air constantly smelling fresh. You can also boil orange peels in hot water to spruce up the air in your kitchen. Add mint or cinnamon for a fresh or spicy scent. Start a fire. Forget the charcoal and lighter fluid - orange peel is a great way to start a fire. So toss a peel in your fireplace or wood stove, or bring some on your next camping trip for a sure fire starter. Make a sponge. You may notice that many of your household cleaning products are powered by orange. That’s because oranges are great at removing grease. So save the orange peel and use it to wipe down your kitchen. Orange peels work great at removing dirt and grease from pots and pans, sinks and counters. Pour olive oils into orange peels to make candles. A dried orange peel combined with olive oil will create a citrus-scented candle. Use different size oranges to create a cute display. Use peels in the bath. Here’s an easy way to make your own orange-infused bath oil. Grind up orange peels and ferment them with alcohol for several days. Strain the oil and add it to your bath. Orange improves skin tone and reduces inflammation. You can also create a body scrub from your orange peels by wrapping them up in gauze and rubbing them directly onto your skin. The orange not always smells great, but will brighten your skin as well. Use oranges for medicinal purposes. Orange peels are known for lowering blood pressure, so if yours is a little high, dig in. 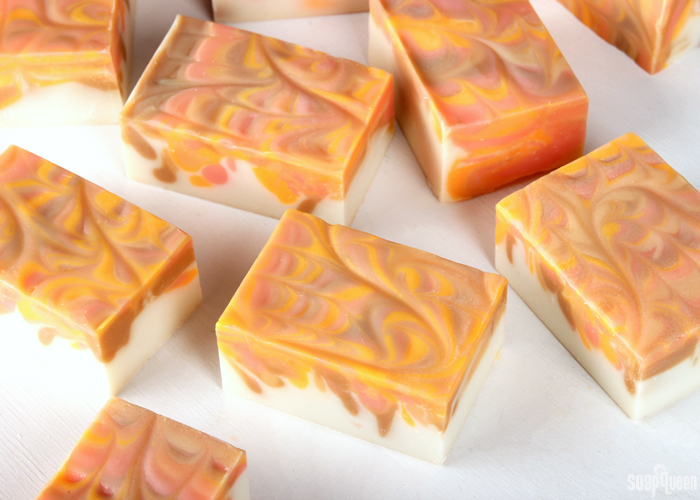 Orange oil can also help with anxiety or depression, so if you’ve got the blues, follow the instructions above for making orange oil, or you can make soap bars out of orange peels with this tutorial. Add it to your bath and watch your bad mood disappear. Use oranges as repellents. Many pests hate citrus smells, so if you’re have a problem with insects or cats, follow these tips. Place orange rinds or oil around the areas where you’re having issues. If you’re constantly being bitten by mosquitoes, rub a fresh orange peel on your skin to repel them. For slugs or ants, place peels in the areas where they tend to frequent. You can use orange peels to get rid of stray cats loitering outside. You can also use the peels for your pet cats. If they’re getting into your plants or using the bathroom behind your TV, for example, place some orange peels there and they’ll be sure to avoid those areas. Now have reasons why you shouldn’t let any part of your food go to waste. The next time you find yourself peeling a fruit or vegetable, keep these dozen tips in mind. You’ll not only get to try a new recipe, improve your health or prevent odors, but you’ll be saving the environment as well.